I'm being tempted to buy the Logitech Notebook Kit MK605 Keyboard, Mouse, and Laptop Stand that's free after mail in rebate. Its $40 up front, then mail in this form to get $40 back. I've never had problems with Logitech rebates and have been mailing them in for years. 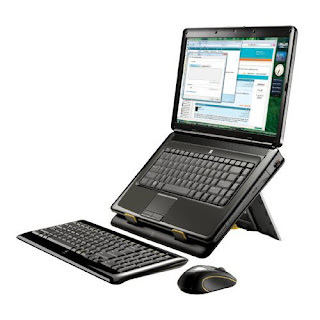 I've kind of been wanting a laptop stand ever since Fabulously Broke reviewed hers back in February. So why am I not buying this?